This organism is usually a pinkish color, looking like a big blobish animal. 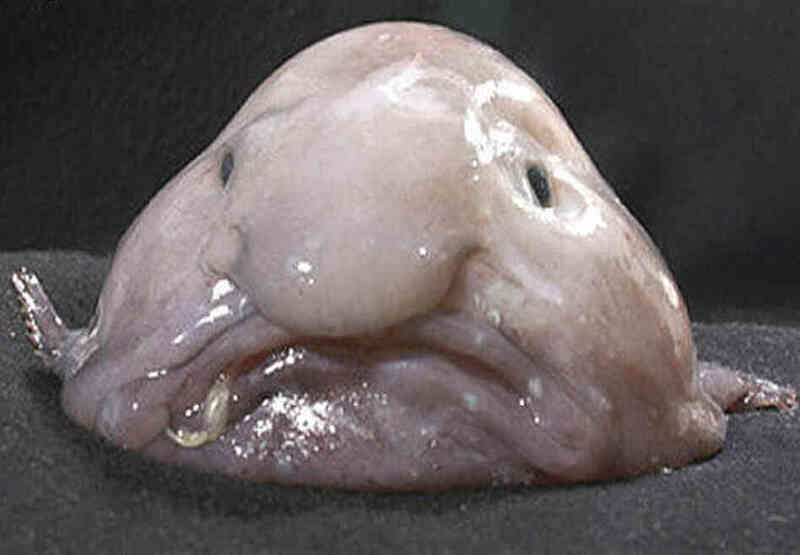 A Blobfish is usually very fat, bloated and usually ugly. It's eyes are strange looking, his pupils are black and they bulge out of its face. The lips are large and highly pink. Its nose droops down over its mouth. The Blobfish is under 30 centimeters big. This animal was also crowned the World's Ugliest Animal.